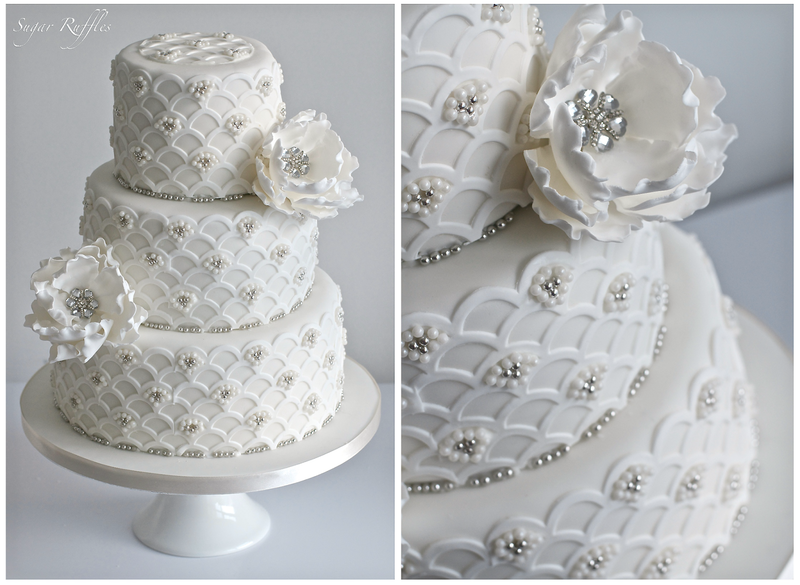 This wedding cake was based on my previous silver scalloped wedding cake design, which was featured in Wedding Cakes & Sugar Flowers magazine in April 2014 and on the cover of Torty od Mamy magazine in November 2014. 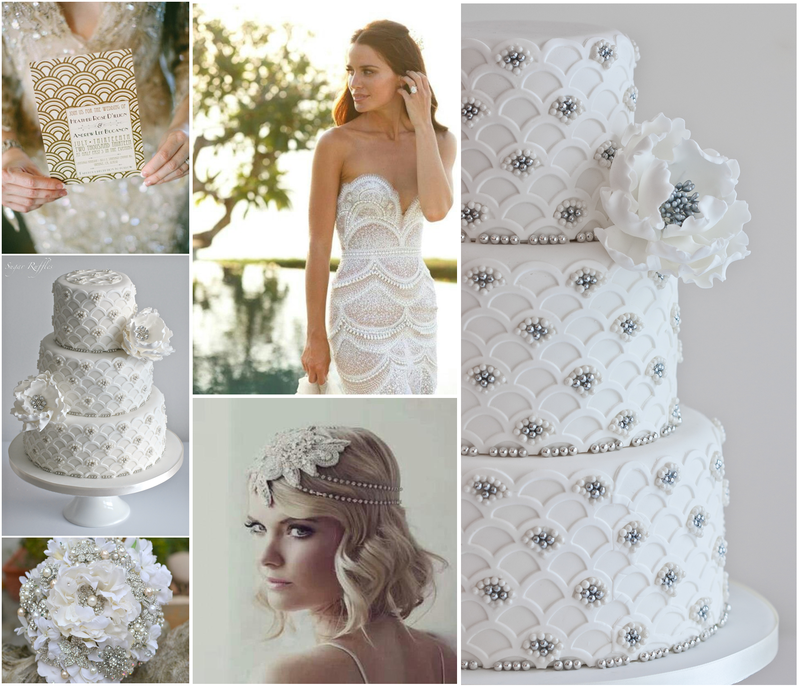 Bride, Gemma was planning a 1920s vintage, art deco theme for her wedding. 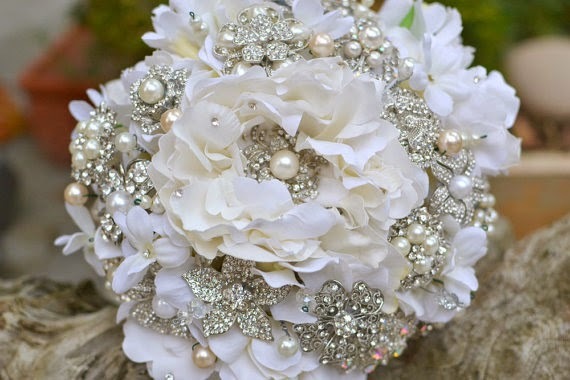 She had chosen a beautiful vintage style brooch bouquet and so we decided to incorporate brooches into the centre of each of the peony sugar flowers, to tie in with her bouquet. We also added some additional beaded embellished detail to the top of the cake. 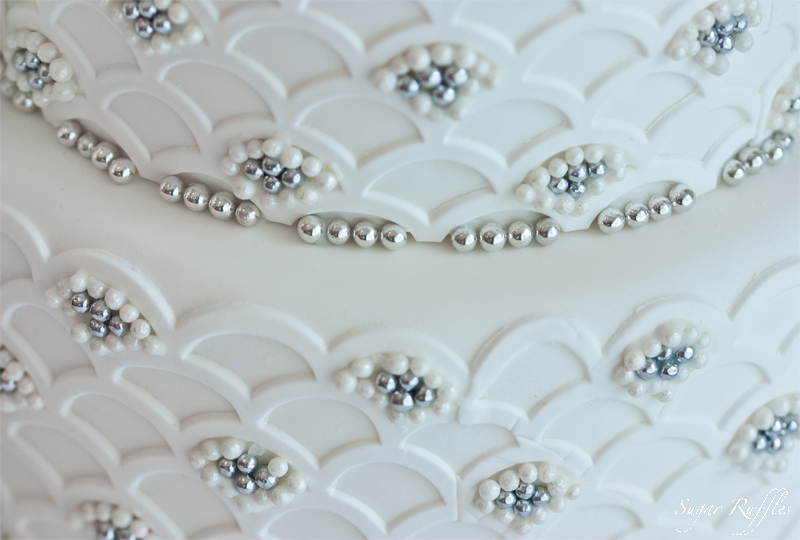 The design features a beautiful scalloped pattern filled with pearls and silver beads along with two large statement peony sugar flowers. The wedding took place at the stunning Inn on the lake hotel, Glenridding. Congratulations to the happy couple! I'm loving all the detail :-) Would love to have seen pictures of the bride! Thanks Petra! The bride is hopefully sending me some photos soon!